Whenever you’re facing a home or business water damage disaster in Altadena it’s critical to get expert flood removal assistance immediately. You can take care of all your water damage concerns with a single call to Restoration Masters. Our fast response teams are on-call 24 hours a day, 7 days a week ready to provide top-notch flood removal services during the critical first 24-48 hours. We have certified flood repair technicians in all aspects of recovery, including water damage restoration, flood damage removal, mold remediation, fire damage restoration, smoke and odor removal, storm damage repairs, and more. We’ll then provide the full suite of services necessary to get everything back to pre-loss condition and your life back to normal quickly and professionally. You may be facing an overwhelming scene, but our team is ready to come to the rescue. In addition to having certified technicians our company in fully licensed and insured, and dedicated to quality workmanship. 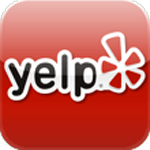 As a local company that’s family owned and operated our goal is 100% customer satisfaction in all we do. We’ll always have an expert ready to answer the phone on on-call technicians who can arrive at your Altadena location in under an hour. They will be backed by extensive training, years of experience, and the latest in specialized state of the art equipment. Both plumbing and natural flooding disasters call for expert flood damage removal. Even “clean” water typically becomes infested with hazardous microorganisms after about 24 hours, so fast pump out also involves extremely thorough disinfection before proceeding with water damage restoration. Actual flood damage repair must wait until the building is safe. 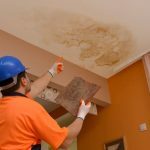 Water damage removal begins with prevention. Our powerful water extraction equipment combined with refrigerant dehumidifiers, powerful air movers, and spot heaters remove every last bit of excess moisture as much as twice as fast as other crews. That’s critical because otherwise that moisture will cause wood to swell, warp, and crack, drywall to crumble, and wiring to corrode in as little as 1 to 2 days. Left alone or with just shop-vacs and ventilation that moisture could last weeks causing progressive deterioration all the while. We’ve worked with all major insurers in the area. That’s important because each has very specific requirements for documentation and the steps to be taken to prevent further damage. Without those, certain reimbursements are unlikely to be covered in your claim. We know exactly what to do, and when to do it, for hassle-free paperwork and processing. You won’t need to make an up front payment as we bill your insurer directly. Handling a client’s full range of fire damage repair needs often draws on nearly every one of our services. After securing the building and making it structurally safe we’ll proceed with debris cleanup and any necessary demolition. With flooding from firefighting water we’ll deploy our water damage restoration services and on occasion need to include mold remediation. Whether on-site or as part of our pack out services we’ll also take care of the building’s contents. Smoke and odor removal often overlaps with those efforts as well as with our final repairs and reconstruction efforts. Smoke often permeates the entire building, reaching places most people would never think to even look. Yet removal must be prompt and thorough, as smoke contains hundreds of compounds that are toxic or corrosive. They’ll quickly penetrate into porous materials so deeply that it’s simply no longer possible to remove them. Every fire produces different combinations of byproducts, so extensive training is required to know exactly what method to use for complete removal without further harm. It’s often best to remove your furniture and other possessions from a damp and contaminated scene. After pre-treatment for safe handling we’ll transport everything to our facility for complete cleaning and secure storage. For your peace of mind we’ll provide a detailed inventory and whenever you’re read return each piece of furniture and packing box to exactly where you would like it to be. Our certified mold remediation experts follow all guidelines, checklists, and requirements to the letter. That’s critical in protecting you, your family, your possessions and your home or business. Without the right isolation and filtration procedures, invisibly small spores and hazardous toxins can spread throughout the building. Our work is thorough, including applying mildicide to reduce the chances of regrowth even further. It doesn’t take obvious flooding to lead to a need for water damage repair. A small leak hidden under the floor or inside a wall can cause big problems given enough time. But there’s no need for the disturbance and repair cost of the old-style approach of making several holes to track down the problem. Equipped with the latest in non-destructive electronic leak detection instruments, our experts can pinpoint the location. 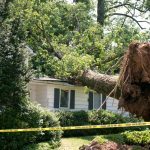 Even if you don’t experience leaks or flooding, our storm damage repair services make sure that everything is done properly from tarp-overs and board-overs together with debris clean up all the way to permanent repairs, reconstruction, and final haul-away. The website www.usa.com compiled statistics on natural disasters within 50 miles of Altadena for the years 1950-2010. They include 66 major wildfires, 177 floods, and 183 incidents of heavy or thunderstorm winds. So it pays to be prepared! Fortunately our outstanding local firefighting capabilities even made it into the New York Times (http://www.nytimes.com/1993/10/29/us/california-fires-fighting-fire-future-making-stand-where-homes-can-be-saved.html). If you’re facing impending storm, the Altadena Library posted a very helpful page of resources for post-fire flooding at http://www.altadenalibrary.org/mudslides.